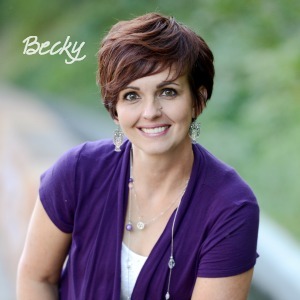 A couple of weeks ago my husband and I were talking about the funny things our kids used to say when they were young…that we still say today because it’s just THAT funny or precious. I am making a greater attempt to print out pictures and journal more about the day to day life. I DO NOT want to forget those moments I swore I would always remember. That being said, I decided to make a 5×7 wood plaque with their picture and my favorite way they say their affections. 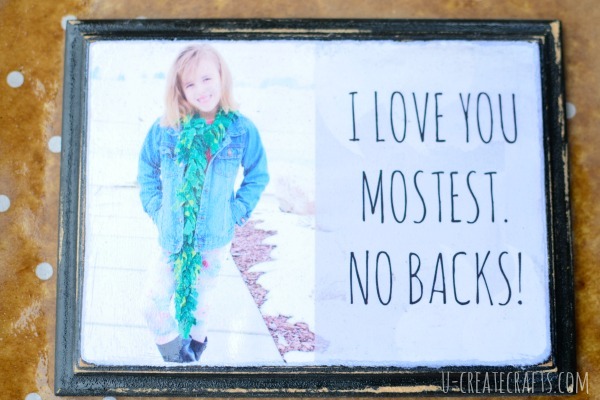 Let’s call them “I love you” wood photo plaques. 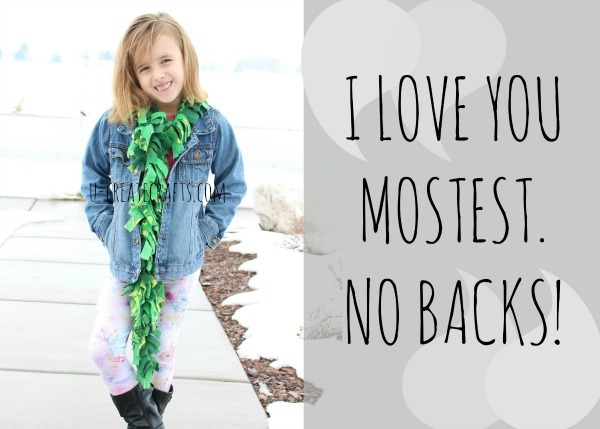 I created the printable quote with picmonkey.com. 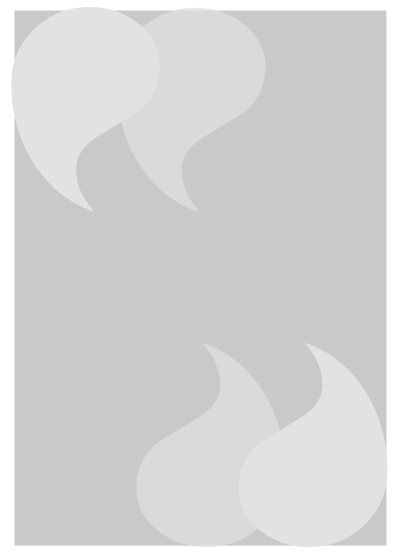 You can download and save the quote box below or create one of your own. Select EDIT in Picmonkey and bring it the quote box you just saved to your computer. 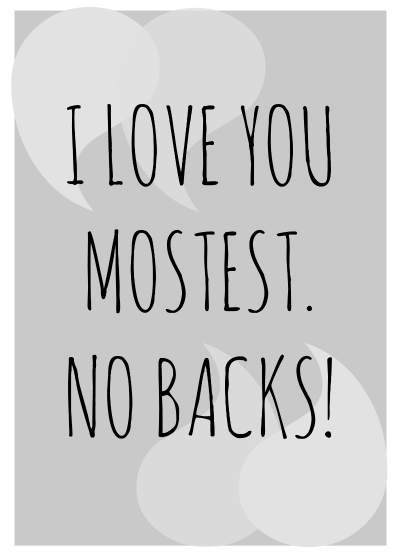 Then select your favorite font and type in the desired quote…I decided to quote my 7 year old’s way of saying I LOVE YOU: “I love you mostest. No backs!” When you have it just right, save it to your computer and go back to the Picmonkey home screen. Next click on DESIGN and choose the 5×7 size. It will take you to a blank canvas. You will want to rotate this to be landscape (long ways across). Click on OVERLAY (butterfly icon on the side) and SELECT YOUR OWN. This is where you will select your finished quote box. THe program will bring in a small version of your saved quote. Adjust the size to fit half of the 5 x7 canvas. Next Click “SELECT YOUR OWN” again and bring in your favorite picture. Again you will need to size it to fit the other half of your 5 x7 canvas. Once you have it like you want it, save it to your computer. 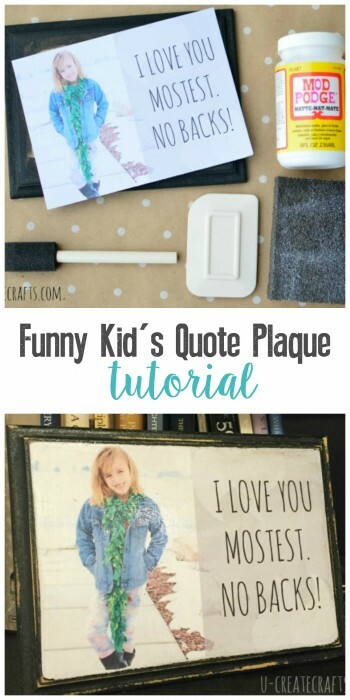 Print your plaque design 5×7 on white cardstock…don’t use glossy photo paper, the Mod Podge will ruin it. Adhere your design onto the wood plague by painting a thin layer of Mod Podge (wood glue works, too) and apply the picture/quote to it. Using a credit card or kitchen scrapper, smooth your design so you don’t get bubbles from the glue underneath it. Make sure to pay special attention to the edges…they like to roll up when they get too wet. 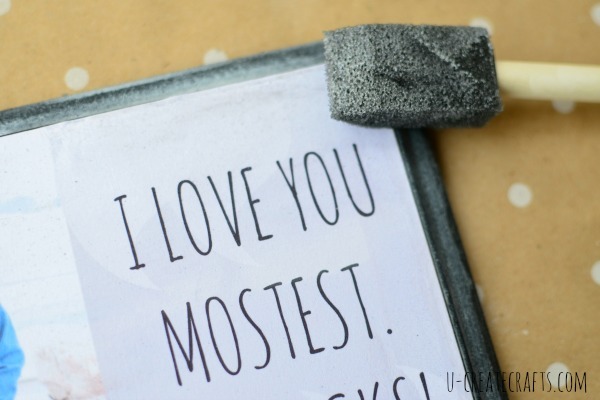 Wait a few minutes and apply a thin layer of Mod Podge to the top of the design. Spray the whole thing with a glossy sealer…and you’re done! Now off to do 2 more of these adorable plaques. Once I get all three done, I am going to hang them up as part of my gallery wall. 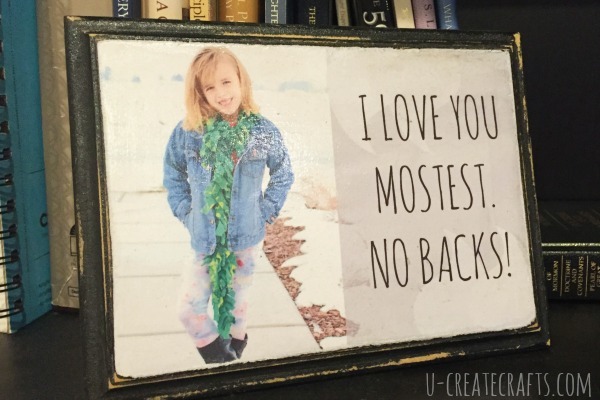 What a cute conversation piece for your home or a fun gift for Grandma’s and Grandpa’s…you could make the quote something special between them. So beautiful. 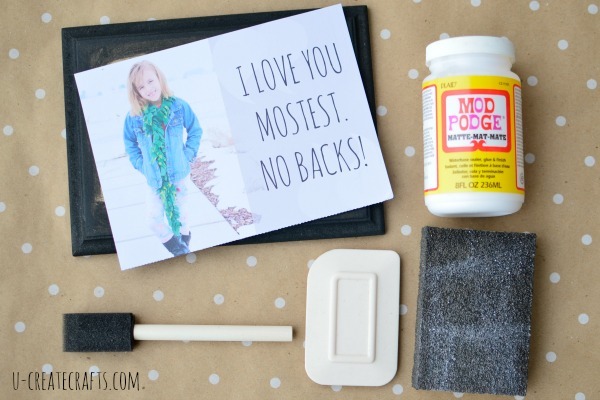 I love crafting with Mod podge! This is such a neat idea. I LOVE it! Would be cute for wedding decorations too for people having a country wedding. I love this!! I’ve got some favorite cute sayings from my 4 grandsons. Thanks for sharing this wonderful idea!